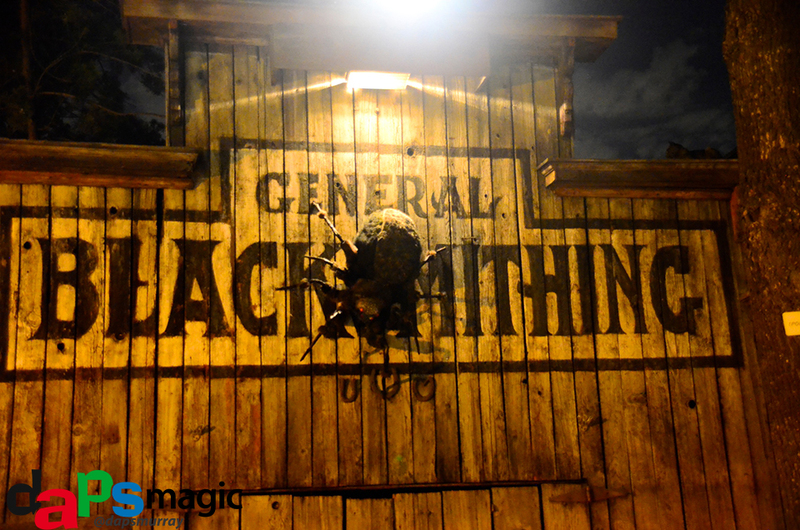 Knott’s Scary Farm has a rich history of their Halloween events. For over 40 years, Scary Farm has scared up thrills and fun for people entering into the theme park for the after hours party. Last night I was able to go behind the scenes of the hugely popular event. Knott’s Scare School was being conducted for the Dominion of the Damned and Pinocchio Unstrung. The night also contained a guided tour of the wardrobe and makeup department for the Halloween haunts, and a history tour of the great event. Besides these festive outings, I got a taste of food from a brand new food truck that will be going out to communities, as well as being parked inside the theme park when not driving around. The Scare School is a time for those who have auditioned and gotten into the scaring event. People inside the mazes are known as “monsters”, though they may be ghouls, vampires, zombies…almost any type of horror character. Scare School trains people to endure through long hours of being in character and screaming, cackling, grunting, or any other horrific sound they can make with their mouth. The one rule always stated: Never break character! This was something that actually surprised me about the mazes. Not that they should break the theme or element of surprise, but that the “monsters” are all unique characters. Each maze has a well thought out story that needs characters to tell it…though it’s all through actions not narration. Knowing this made going through the maze that much more enjoyable as I tried to figure out who the people were. 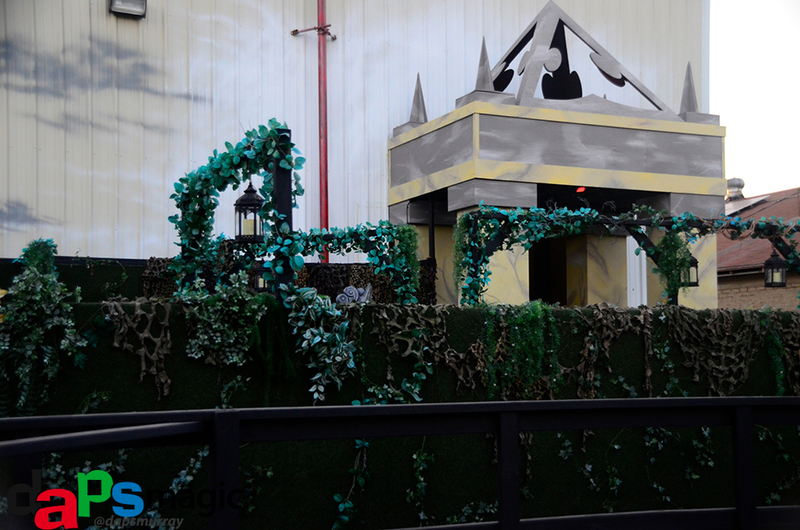 By the way, no one was in costume during the rehearsals, but it was still as scary as going through the regular maze! Dominion seemed to have the story of vampires, showing a progression of relatively scary to just creepy by the end. Pinocchio Unstrung takes the classic story of Pinocchio and twists it. Pinocchio isn’t a good boy and cursed by the Blue Fairy, so he now goes around literally tearing people apart. Both mazes were elaborately decorated and didn’t have any crossovers in decorations. Dominion had a grand mansion feel to it, while Pinocchio took guests through a forest and eventually to a Pleasure Island type atmosphere…although not too pleasurable. Going through costuming and the make up areas of the event made me appreciate the set up even more. Costumes are thought up as the mazes are, and both are very elaborately planned. Sewing begins months before the September opening, and are each uniquely done. There has been a great system put into place for people to find their costumes the night of. Though this may sound like a no brainer, picture hundreds of people running in at the same time to one place and needing to get everything on with a limited time. It could be pandemonium, but it only takes a couple of hours with great success rates. Make up is quite a process as well, though can only take a few minutes per monster. In older days, prosthetics were painted the day of, and glued onto people’s faces. 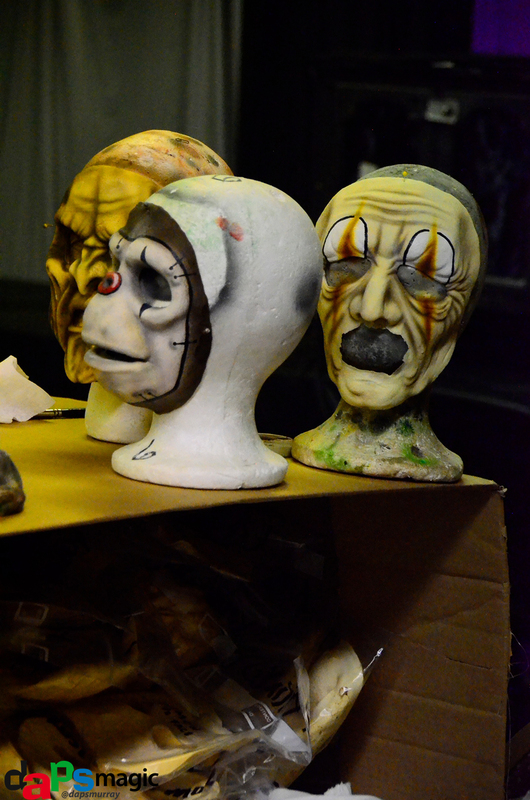 Now, the prosthetics are pre-painted, and make up artists apply the masks on that night. Several artists come in just for the event. Some are practicing professionals, while others have this time of year to practice a trade they had studied for. An interesting fact I learned is there are two different categories of the make up. The monsters are the more elaborate, but end up not having to take a lot of time to get everything on, as some things are predone for them. The “2-D” characters that are sometimes ride operators and such take some longer time because it is fresh each night. After this was a tour of Ghost Town with Ted Dougherty, author of Knott’s Halloween Haunt: A Picture History. He took groups around different points of the original area of Knott’s to explain its significance in the development of the Halloween scare fest. 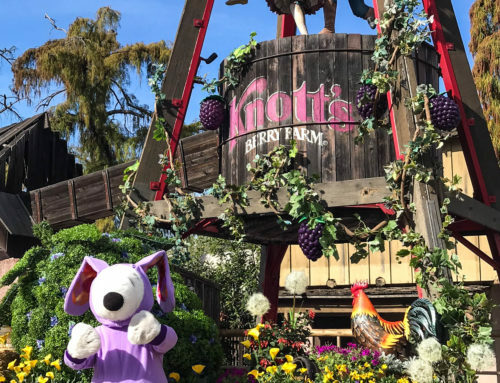 A lot has happened to make Knott’s Scary Farm what it is today. Interestingly, monsters were not really outside of rides or the “peek ins” that litter Ghost Town. A few western show stunt men were scaring guests by mostly walking around a fog infested street. But, it wasn’t until a peek in monster couldn’t get into his locked room that monsters started more intentionally scaring. 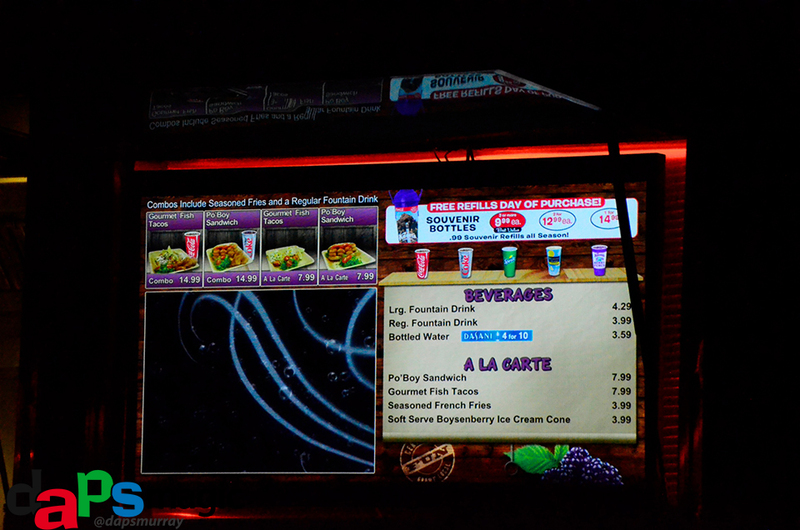 Shifting gears, Knott’s debuted a new food truck to the delight of those of us who were at the event. Served were fish tacos and po’ boys with french fries. 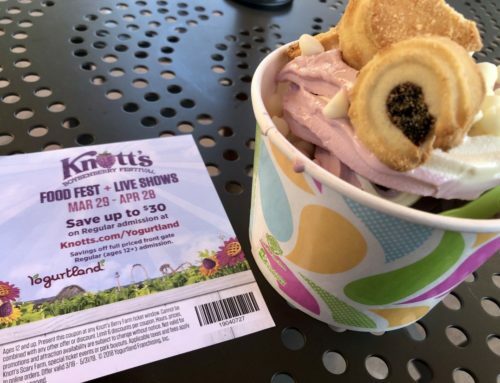 Also served after those was a boysenberry soft serve ice cream. All was very delicious! I am not a big seafood fan, and these items I would gladly eat again. The po’ boys had a nice amount of spice to tickle my tongue. While the fish tacos were not fishy at all, and very satisfying. Even the french fries were better than many others I’ve had anywhere. The only hard thing was that I had eaten dinner before and wasn’t prepared for the amount that I had in front of me. I kept chowing down, but knew I needed to save room for the ice cream. The ice cream was a real treat! I was expecting a more vanilla taste with a little berry goodness. 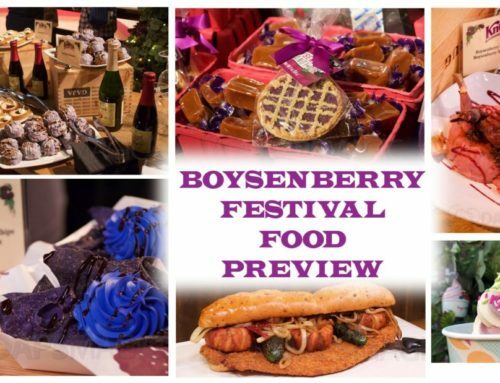 This was heavy in flavor of boysenberry, and even had pieces of berry in the soft serve! 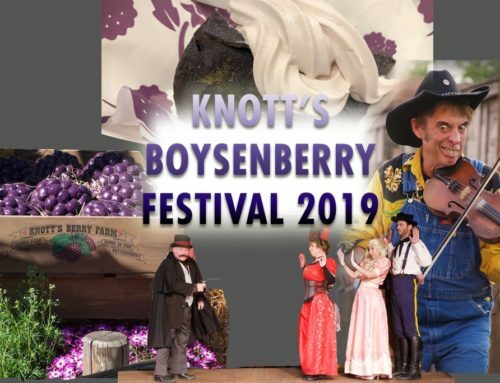 As a fan of Knott’s boysenberries, this was excellent to taste and eat. And, now back to the Halloween haunts. In all, I’ve been impressed with Knott’s Scary Farm’s caliber of talent and effects. Going to this special look at the making of the event raised my respect even more. There are some talented, fun people working this once a year series of nights. And the talent behind the scenes makes this the Halloween event that all events can trace back to and be inspired by. 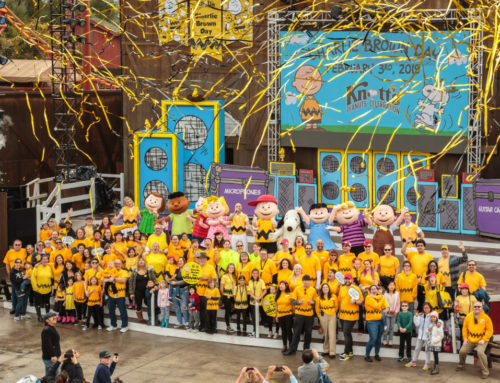 They set the bar, and raise it every year!